Start your day happy ! 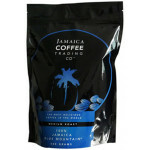 The beans are sourced from either Wallenford or Mavis Bank Coffee Factory in Jamaica and shipped to the UK in wooden barrels with British Airways by the Coffee Industry Board in Jamaica. 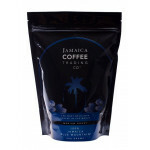 The coffee is roasted in very small batches of 500 grams weekly. We only roast more than 500 grams when we have big orders. This makes us very different to our competitors who are too huge to offer such a dedicated and meticulous service.